This week saw photographer Tim Wallace fly out to Hamburg as a guest of the World famous Victor magazine. Tim was in Germany for two days to be interviewed by the magazine as he has been selected to be profiled for his work and creativity in the field of automotive photography. In keeping with the Hasselblad philosophy of developing products of outstanding quality that are ahead of their time, and celebrating the 100th anniversary of Victor Hasselblad’s birth, the magazine showcases the work of selected photographers from around the World and looks indepth at who they really are. Tim was in Germany for two days to be interviewed by the magazine as he has been selected to be profiled for his work and creativity in the field of automotive photography. In keeping with the Hasselblad philosophy of developing products of outstanding quality that are ahead of their time, and celebrating the 100th anniversary of Victor Hasselblad’s birth, the magazine showcases the work of selected photographers from around the World and looks in depth at who they really are. Victor is regarded by the professional community as a both exciting and visually stimulating magazine in a large, professional format, and it has proved a huge success amongst top class photographers since its launch in the autumn of 2006. 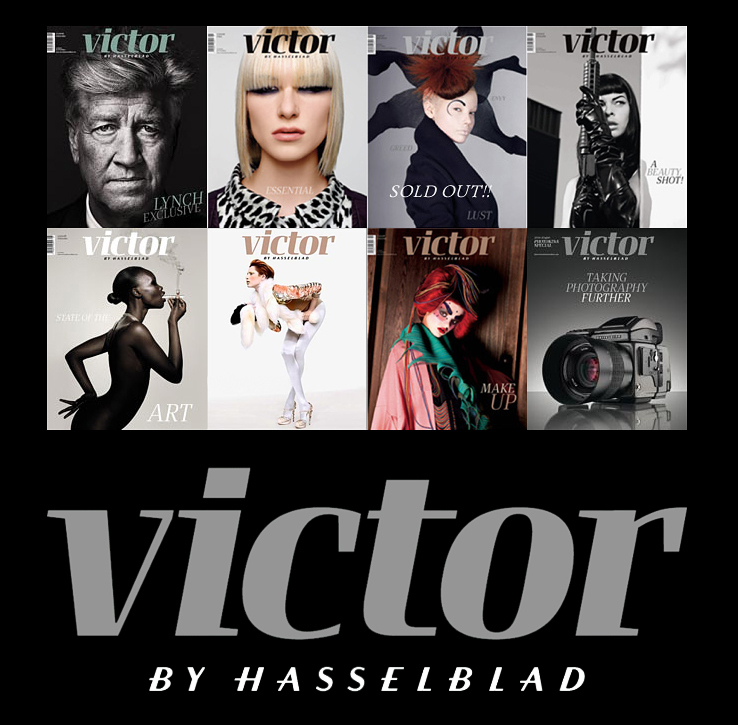 Recently in order to allow a wider audience to enjoy this exclusive publication in the future, Hasselblad announced that Victor would be launched in an online version – providing all the content and all the quality of the paper version, plus the advantages of an online publication with an interactive media facility the enables readers to search all articles and content from the current issue, access tutorials and behind the scenes videos as well as Victor Podcasts. In addition, those wishing to get closer to some of the world’s finest photography will be able to zoom in on image details thanks to the large format quality of the online PDFs that are made available to subscribers. The magazine is very much seen to be one of the most exclusive and desirable publications within the photography community and each year receives requests from over 3,000 professional photographers to have their work viewed and considered for publication. Stephan Bittner (Editor and Architect for Victor Magazine) - "Each year I see thousands of images, we are sent them on a daily basis quite literally. What I get excited about is when I see something new, something that I have not seen before, at Victor we really strive to bring new photography to our readers and of course also look at the photographer themselves, who they are, what makes them tick. I first saw Tim's work late last year and had heard his name mentioned by several people for his automotive photography, when I saw it I knew we needed to get him over to Germany to find out more about the man behind these incredibly moody images. Even if you don't like cars you can't help being drawn into some of Tim's work. I met with him along with our writing staff and I have to admit that there is a lot more behind him than I'd expected, it's a great story and we will be aiming for release in June for our readers to enjoy. I would also point out that next time we meet I hope his baggage makes it, it's a long story!..." It's not really something that you need to think about when an opportunity arises like that and of course I feel very humbled to be asked to be featured. My work is very important to me and anybody who has met me professionally as a client or as a guest at one of my seminars will tell you that once you get me started on the subject of passionate photography it's hard to get me to stop! I went out to Hamburg for two days for the interview and really wished that I could have stayed a little longer if not simply to enjoy the city of Hamburg in winter, its a very beautiful place, especially at night when the lake is frozen and the local community take to the ice skating and enjoying the evening together as well as all the good eating and drinking to be had! I spent the day with Stephan and his writing team as we discussed my background, my approach, my visions for the future and where I saw my work in the years ahead. One of the hardest things I think in the day was trying to select the portfolio, I'm glad to say that we did manage this in the end and the feature will I feel reflect a good mix of my style which I'm very happy about. All in all the day seemed to go quite quickly and I have to mention that Victor has it's own bar right next to the meeting rooms which is sheer genius, for a hot coffee of course! My time at Victor was rounded off with myself being invited to a group celebration meal with the guys from Victor and where we were joined by the MD's of Hasselblad UK and Germany, Chris Russell Fish and Uwe Moebus. A great night and given that I'd been on the go since 2am with flights etc and my bags had been left in a different country to me I have to say that I didn't notice that it was 3am by the time we bid each other farewell!" The Victor feature on Tim is expected to be published in the April edition of Victor 2010.